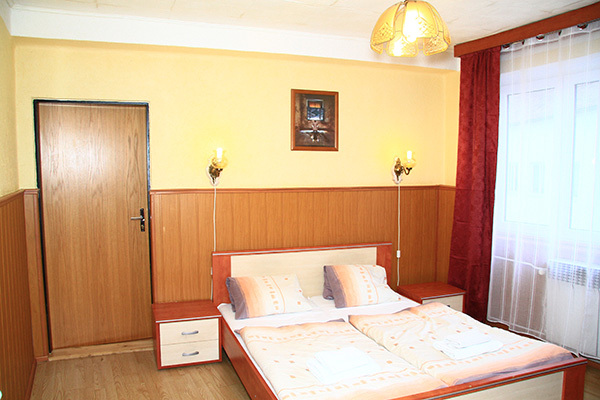 Hotel Union Louny offers comfortable accommodation. The hotel ‘ s capacity provides 26 rooms in four price categories, luxury suites, superior rooms, standard rooms and cheaper economy rooms, all with en suite rooms. The suites are, in addition, equipped with a safe and Internet connection. Our stylish restaurant prepares specialities of Czech and international cuisine of the highest standard and also offers the possibility of having breakfast, lunch and dinner. The romantic location of the hotel evokes feelings related to the town ‘ s history, stays of interesting people in Louny, to the positive energy permeating from the antique buildings. Here, in the historic part of the royal town, you may sleep peacefully. Comfort, quick solution of guests’ requirements and above-standard quality are the basic elements of the services provided by Hotel Union. Therefore, you may already place the accommodation order itself, including specification of required services, through on-line reservation directly from your office or home. Following an agreement, regular guests and groups may be provided with a discount for offered services.For details call +420 777 103 462 – Mgr. Miroslav Kučera. Prices includes breakfest, WIFI internet and VAT.